SMS Group Messaging allows you to send SMS directly to a group of contacts via the iSMS member portal or your mobile phone. Below is a short guide on how you can compose group messaging. Click SMS Group Messaging for more information. 1. Login to your iSMS account. **Please click image to view clearer. 2. Go to SMS » Compose SMS. 3. Choose your "Receive Reply Method" either via sms or email. 4. Click "Phone Book" to choose contact. 5. 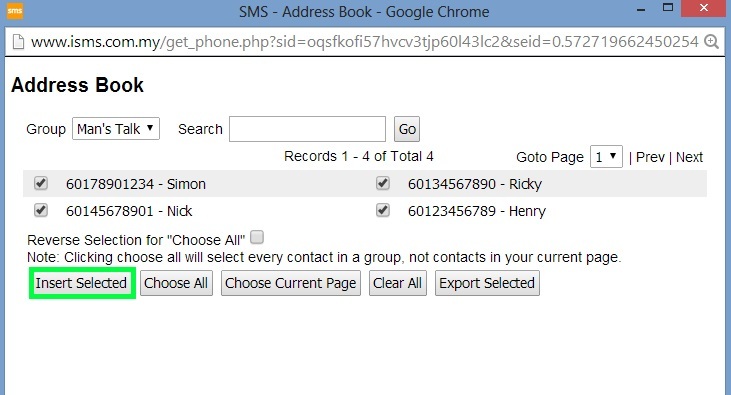 In the Address Book, scroll down and select a contact group. 6. All the contacts in the selected group will show on the page. 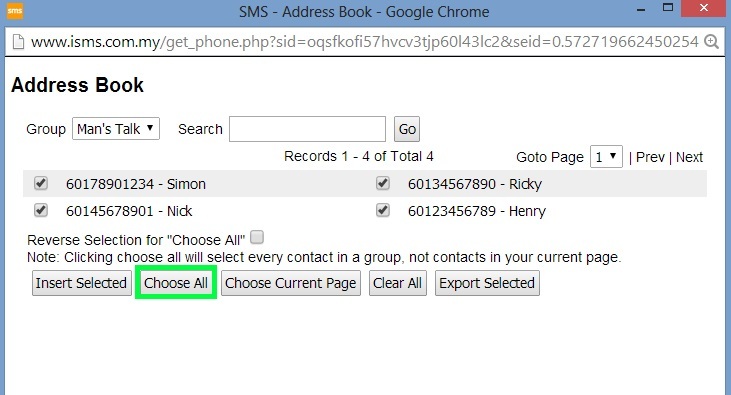 Click "Choose All" to select contacts. 7. Then, click on "Insert Selected". 8. 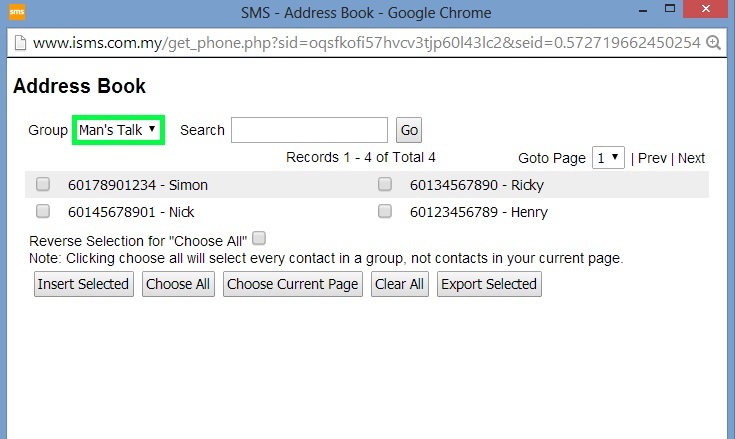 All the contact numbers in selected group are now inserted into the "Send To" column. 9. You can start to write your message. Remember to put the group keyword before inserting the text. For example, "MV TK Text Message". 10. Click "Send Now" and your message is now sent to all contacts. Alternatively, you can also compose your group message and send through your mobile phone. All you need is to do is insert the group keyword before your text message, e.g "MV TK Text Message" and send to 36828. How to Integrate iSMS with Joomla!